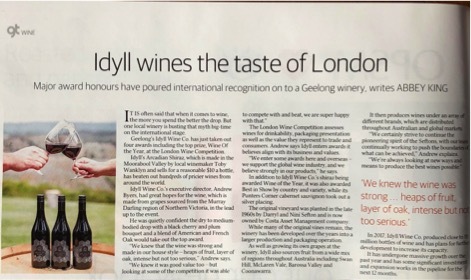 Awards — Idyll Wine Co.
Arcadian Shiraz from Geelong’s Idyll Wine Co. beat hundreds of competitors from around the world to win ‘Wine Of The Year’ at the London Wine Competition. It also won ‘Best Wine Of The Year’, ‘Best In Show From Australia’ and a Gold Medal in London on April 2nd, 2018. According to CEO Sid Patel of event organizer Beverage Trade Network, “We want to reward those brands and products that consumers actually want to buy, rather than simply recognise good quality wines for their winemaking ability alone”. Arcadian Shiraz is made in Geelong by winemaker Toby Wanklyn, using grapes sourced from the Murray Darling region of Northern Victoria. It has a dry to medium-bodied characteristic with a black cherry and plum bouquet and a blend of American and French Oak. 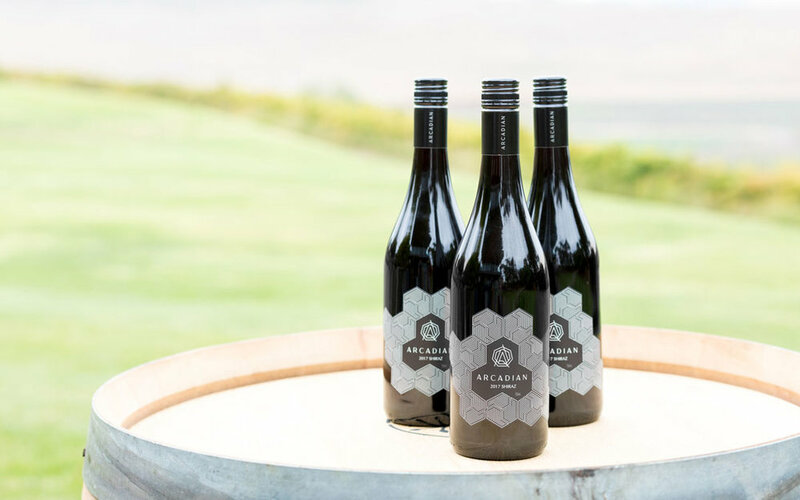 Andrew Byers, Idyll Wine Co.’s Executive Director said, “We’re delighted to see Arcadian Shiraz – a wine that sells for $10 - take out the top prize in London! It’s a top quality, yet uncomplicated red wine that is easy to drink and partners well with most occasions. It’s a true reflection of its varietal character”.